For all those little gadgets that make driving your car more fun and convienent. Big subs, screaming tweets? Got an amp that's on the way out? Need some recommendations? Then this is the place to ask. 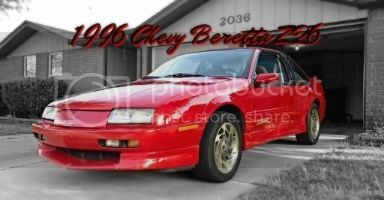 Okay, Im needing some help in getting my 96' to work with LEDs. -I first only had a Hyperflash issue. -after installing those, the hyperflash was still present, only now when the parking/headlights were NOT on, the front signal, front fog, rear brake, tag, and instrument panel all flashed when i put it for the left/right blinker on. and when i would press the brake pedal itself, with no lights on, the instrument panel lit up and it chimed like the lights were left on, but only when the brake pedal was pressed with no lights on. -so after that i was like, wtf? SO, i bought an EP27 LED flasher, installed it. after installing it, the lights blink normally when the headlights/parking lights are on, BUT still all those same lights blink when the parking/headlights are off. AND the LED flasher makes the turn signal click with the signal arm in the nuetral postion. SO! HELP! lol what am i doing wrong and how do i fix it? In addition to the LED flasher i bought, i also bought two LED load resistors, the type you tap into the brake lights themselves. I havent installed them, partly because i dont know which wires to connect them to, annnd i didnt know if i should run the flasher, plus those resistor loads. any input is helpful and appreciated! Did you connect a ground to the flasher? Those load resistors act like a light bulb basically tricking your car into thinking u have a proper light bulb. Correct me if I'm wrong but I don't think your suppose to use a canbus led light in a car that doesn't require a canbus bulb, some cars throw a code when u put in led (ie BMW ). 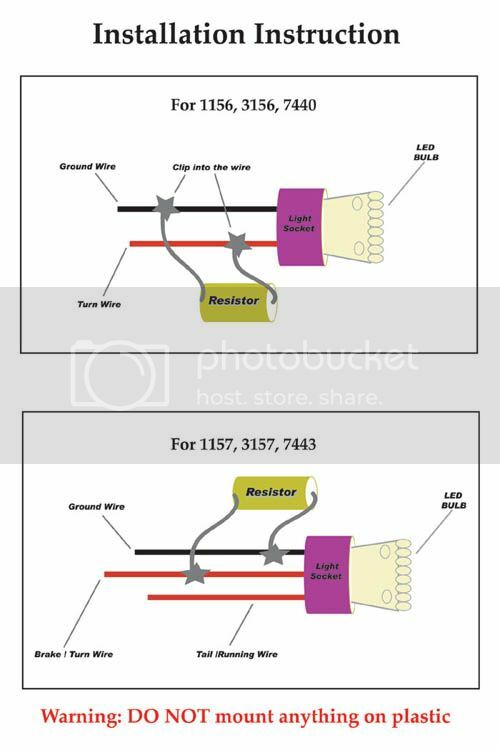 resistors should solve your flash issue (1 resistor per bulb that blinks) You have to connect the resistor to the ground and the flash signal wire. If you use a correctly connected LED flasher, then you don't need the load resistors which are just a waste of electricity. Exactly.. I'm glad someone pointed that out. Cliff8928 wrote: Did you connect a ground to the flasher? Do they have their own ground connection? That particular flasher used has connections for B+, Ignition, Ground, Signal and Hazard. Your tail lights are probably designed with internal load resistors. They may not provide enough load for the flasher if the front bulbs are changed as well.